This lot is an 1883 Original Wisden , Rebound with both covers within. 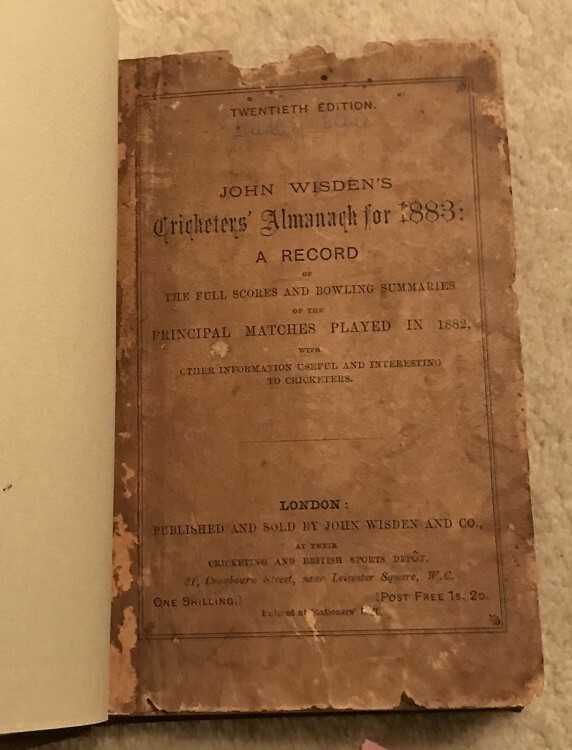 This is an early Wisden , 20th Edition, but the covers are poor as very dark and worn around the edges, afer a couple of pages the book is nice and clean inside, some spotting to the first few pages. Corner loss to rear cover. Great price for the 20th edition, complete with covers.